Sometimes, you may run into problems with the Stihl chainsaw bar if its oil pump isn't able to lubricate well. Lubrication is vital to this equipment's function and performance. 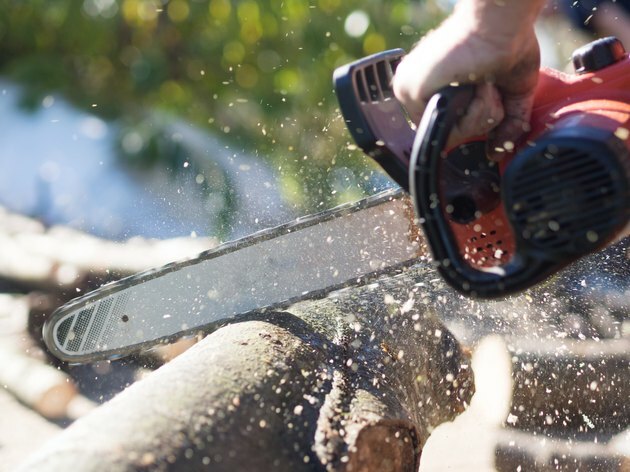 Otherwise, the chainsaw won't have enough power to slice through a very hard surface. Hold the machine up and start the throttle. If it's working right, there should be tiny oil drops as the chain spins. There won't be any drops at all for a Stihl chainsaw bar oil clogged passageway. After you've determined that there is a clog, it's time to fix the chainsaw bar. Loosen this part by removing the nuts and bolts on the clutch cover. Next, carefully take out the chain shroud and then remove the oil plate with screwdrivers. Find the slot for the bar guide and scrape it down using 16-gauge wire. Keep on scraping until you can feel the wire smoothly gliding up and down. Use the same wire to poke holes and outlets of the chainsaw that might have gathered dirt. If cleaning the bar isn't enough, you will need to clean the oil pump, as well. You might even have to replace the oil pump with a new kit. Disconnect the spark plug and remove the e-clips attached to the engine shaft's sprocket. Remove this and the washer. Put nylon ropes on the spark plug's hole so that the piston won't move. Next, check the oil pump by unscrewing the clutch assembly over it. Loosen the locks and bolts clockwise because Stihl chainsaws have a left-hand locking mechanism. Once you spot the oil pump, slide it out gently to disassemble every part. If there are no damages, you can simply clean it out. Gasoline is good for cleaning the oil pump, along with a wire brush and rag. If there are broken parts, replace everything first before putting the chainsaw back together.